Specifically designed for the Tascam DR-70D Audio recorder, this KSTG70 Stingray bag enhances the versatility and various applications of the Tascam recorder. Distinct features of the larger professional audio Stingray bags were miniaturized for use in this DR-70D Stingray to bring big bag features into this small size factor. 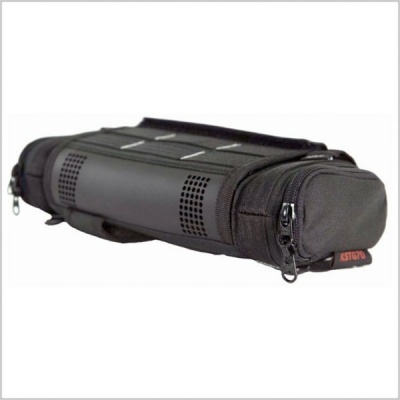 Sturdy, yet lightweight, the bag offers protection while enhancing the use and function of the recorder. 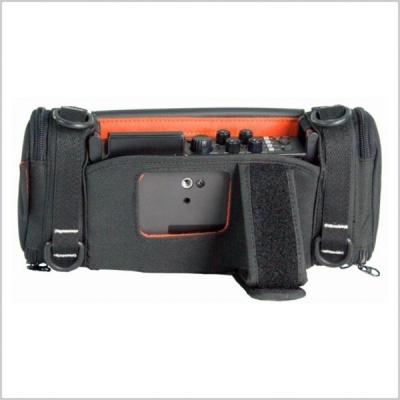 The dual full vertical frame protects the recorder and allows the bag to better stand on its own, while giving full access to the input and outputs on both sides of the DR-70D. 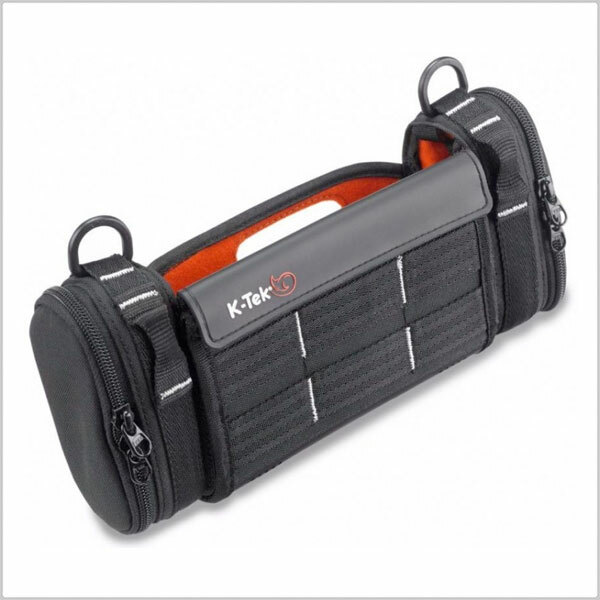 The built-in kick stand allows the bag/recorder combination to rest securely at a convenient angle to monitor and adjust levels. The side zippers give access to the roomy interior to ensure plenty of space for large XLR, TRS and all other connectors. Molle straps on the front of the bag ease the mounting of accessories like wireless receivers and other Molle based accessories (e.g. up to three Sennheiser G3 receivers). The front has a flap that conveniently folds down to access storage media and the battery compartment. Integrated into that flap design are mic holes for the two built-in omnidirectional microphones of the Tascam DR-70D. 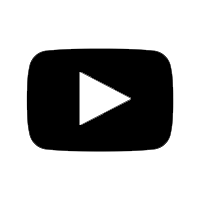 Additionally, the camera attachment screw assembly of the top of the recorder can also be reached by repositioning the flap to attach a camera. A dedicated opening in the bag allows access to the tripod screw thread. Four D-Rings, for use with K-Teks Stingray Waist Belt, also offer additional mounting and rigging points. A shoulder strap is included. K-Tek's thought out approach to the Stingray Bag for the Tascam DR-70D as well as the entire Stingray audio bag and accessory line creates game changing solutions for the audio professional that make everyday tasks more convenient and result in efficient and focused products that are also really good looking.